If you are part of different groups on Facebook, you might have seen lately a phenomenon of people asking other people if they want to make money staying at home and secure. But they won’t give any other public information on the process. You had to send them a DM in order to find more details about what this easy job means. Well, it seems that Facebook is involved and it is not a nice way of getting the information they need from their users. 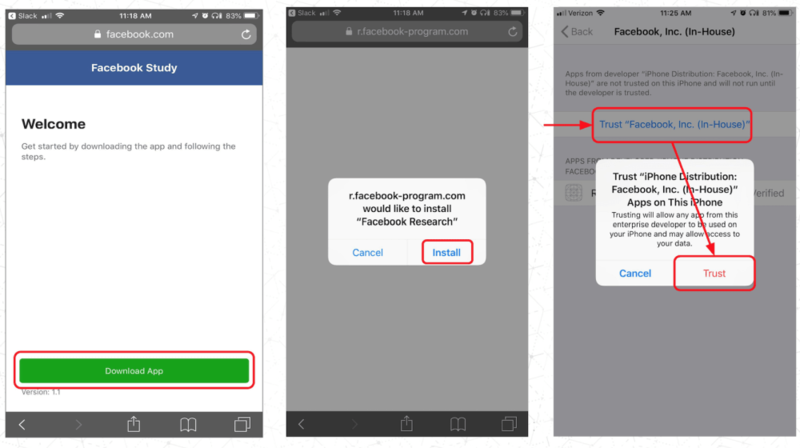 Hidden under the name of “Project Atlas”, what Facebook did was promising an amount of 20$ per month and other 20$ for any new referral member getting in the community of researchers for people who installed a VPN app on their phones and let Facebook get all the information of how users use their phones and their web activity in order to know what needs they have. The story started back in 2016, when Facebook started to pay people between 13 and 35 the amount of 20$ for the surveys they made. For underaged children, they would need their parents’ consent. But if we are talking about people that couldn’t make money so easily, such as the kids, the fact that their phone and behavior were constantly watched was not a problem. This is actually more serious than this. Because by having access to whatever a user does on his or her phone could lead to better ads, on one hand, and to other apps or features, they should build in order to keep users navigate on the platform and mobile app. Lately, more and more teenagers have migrated from Facebook to other apps such as Snapchat or Instagram. The research ran on both iOS and Android, but after Apple found out that the app was violating its guidelines, they made Facebook remove it from the App Store. So for the Apple users, there are no worries in what the Facebook researched are concerned. The app though will continue to run on Android, so it is up to each user if they want or not to share the information on their behavior with Facebook and still respond to the research.